Bermuda's rich past lives on through the country's remaining historical buildings telling the tale of a thriving and powerful colonial island. 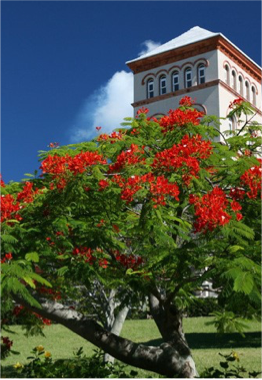 Most sites have been cared for over the years and adapted to Bermuda's contemporary needs, incorporating modern entertainment into historic buildings, to create a cultural experience that embraces the island's heritage in enjoyable settings. In addition to its picturesque edifices and bustling town life, Bermuda is blessed with some stunning displays of natural beauty in the shapes of natural reserves, underground cave networks and underwater sites that will marvel nature lovers, scuba divers, and thrill-seekers! Founded in 1788 and named after Sir Henry Hamilton, who served as the island's governor until 1794, the harbour city became Bermuda's capital in 1815, and is now the country's main local and international cultural and business hub. A colourful mix of gardens, galleries and museums, vibrant shops and humbling historic buildings with harbour views and sea breezes. A beautiful example local art and artisanship, made of native stone and imported Caen stone, the tower of this Anglican Church also offers beautiful views of the city. 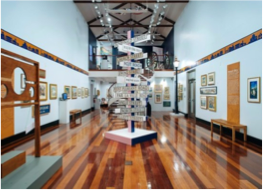 If the Arts Centre has left you hungry for more, head to this museum and experience Bermuda through the eyes of traditional and contemporary artists such as Georgia O'Keeffe. Whilst in the capital, make the most of the various food trucks dotted around the city to enjoy cheap yet delicious local food. Have a taste of the Bermuda chowder, explore the various seafood options, or get a tasty kick from a delicious Jerk chicken or fishcake. On Sundays, make sure you take part in the codfish brunch, too. A great mix of sightseeing and vistas, in Southampton. Once used to guide the ships passing by, this lighthouse is the oldest cast iron building on the island. Whilst there, climb up the stairs to the top balcony, where you will find the true reward of this visit: a fantastic 360 degrees view of the beautiful surroundings, made of spectacular coves, limestone bluffs, as well as the island's famous pink sand beaches, including Horseshoe Bay beach (located just a short walk away). Whilst on the South Shore, make sure you explore the coastal nature reserve gem that is this national park, and take the time to indulge in the breathtaking views offered by the cliff trail. This part of the island is also the perfect occasion to find your own private sandy spot, such as the twin coves of Chaplin and Stonehole Bay, Astwood Park, or the 32-acre wide bird watching spot of Hog Bay Park. Enjoy a leisurely shopping trip strolling along vibrant Front Street, where views on the harbour make a perfect location for a delightful lunch with a spot of people-watching! To further your architectural knowledge of the capital, go visit the beautiful building housing the City Hall Theatre and National Arts Centre, or attend one of their performing arts events. For a bit of political entertainment, attend one of the Parliament's lively session - a unique insight into the country's system. 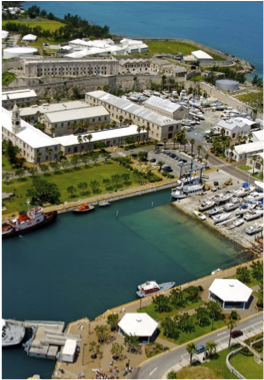 Located in another fortress, on the northern tip of Ireland Island, the Royal Naval Dockyard holds its share of Bermudan history, with over 150 years of service as the bastion of Royal Naval power in the Western Caribbean. Steeped in fascinating marks of heritage, the site became open to the public in 1951, and today, entering the fortifications is like a step back in time to an era where the British Empire dominated the waters all around the world. St Lucia's warm trade winds are famous for offering the perfect sailing conditions with world-class sailing and yachting activities. Experienced sailors and first timers will enjoy the tranquillity of the Caribbean Sea stretching on the western coast of the island, a much more enjoyable option than the Atlantic Ocean, surrounding St Lucia's eastern coast. An impressive and colourful collection of wildlife and culture in this all-round complex that makes a perfect day out for the whole family. The capital's 36-acre large gardens include a miniature forest, a colourful tropical fruit garden as well as a palm garden. 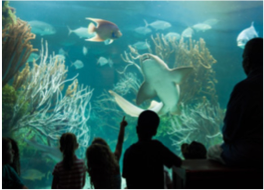 An interactive experience for the whole family, exploring the mysteries of the deep whilst taking visitors through activities such as virtual submarine and a shark cage. For another spot of nature in the middle of the city, take a walk around this refreshing and charming park designed in a traditional English style, with a traditional and historic bandstand. 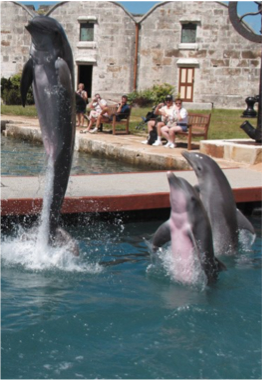 The Dolphin Quest, for a chance to get acquainted with the mammal and learn about the important role played by the country in preserving their natural habitat. click here to download everything about Bermuda! Made up of 181 islands, islets and rocks, and surrounded by clear turquoise waters and coral reef, Bermuda is also worth exploring by sea, and travellers will find a variety of activities and tours to suit their wish. Many companies offer tours focused on water sports, with great snorkelling and kayaking spots, as well as fun paddle-boarding and jet skiing. Other boating experiences are available, including off-shore fishing trips, Bermuda being highly reputed for offering great fishing opportunities all year round. 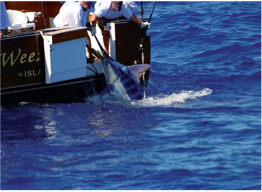 Whilst mostly marlin, tuna, and wahoo found right off-shore, and competitions attracting participants from around the world, Bermuda is definitely a fishing-lover's paradise! With wonderful corals, clear waters down to 46.7 metres, colourful fish and even centuries old shipwrecks including the historic and famous Constellation and Cristobal Colon, Bermuda - referred to as the Shipwreck Capital of the world by divers - offers great entertainment for snorkelers and divers alike. 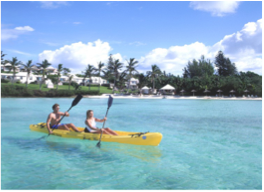 The island's clear and calm waters alongside its great weather have made of Bermuda a natural first class destination for sailing, a centuries old legacy cultivated and celebrated by the country through its many yearly events and races. 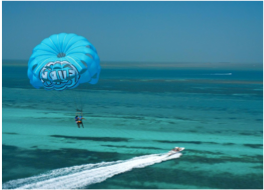 Get your blood pumping as well as beautiful views of the island and its crystal clear waters with a bit of parasailing, or skim across the waters on a nimble jet ski. For a more slow-paced and in-depth exploration, opt for a kayaking trip to the island's caves and coves, and enjoy the abundant wildlife both above and under the water. If over and under waters aren't your thing, but you wish to discover the island's maritime life, head to the capital of Hamilton Parish where you will find a splendid aquarium, alongside a zoo and a museum, for you to admire a display of colourful sea life, wild life and history, with your two feet firmly on the ground! 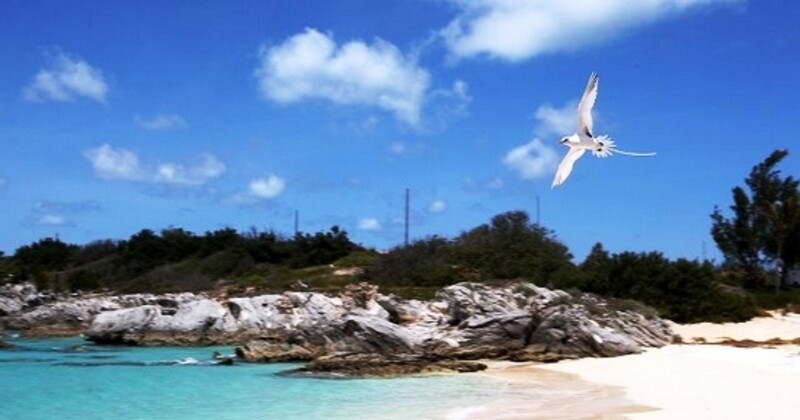 This bird sanctuary with beautiful sea views is located in Smith's parish and regarded as Bermuda's largest and best reserve. It also features a large pond, some stunning rock formations, unique wildlife and plantations. 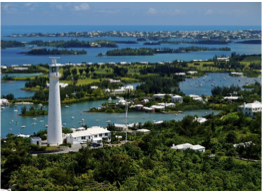 Many other natural reserves and trails can be enjoyed around the island, as well as parks, gardens and, obviously, Bermuda's stunning shoreline, such as the South Shore Park Trail, covering Bermuda's prettiest pink beaches. For visitors who wish to explore without the strain of a trek, the island's 18-mile Railway Trail covers almost the entire length of the island and is the ideal way to discover the island's beauty from a comfortable and relaxing position. Located at the southern tip of Bermuda, this beautiful nature reserve features great wildlife spotting walking trails, as well as beautiful beaches, including Turtle Beach and Clearwater Beach at Annie's Bay. 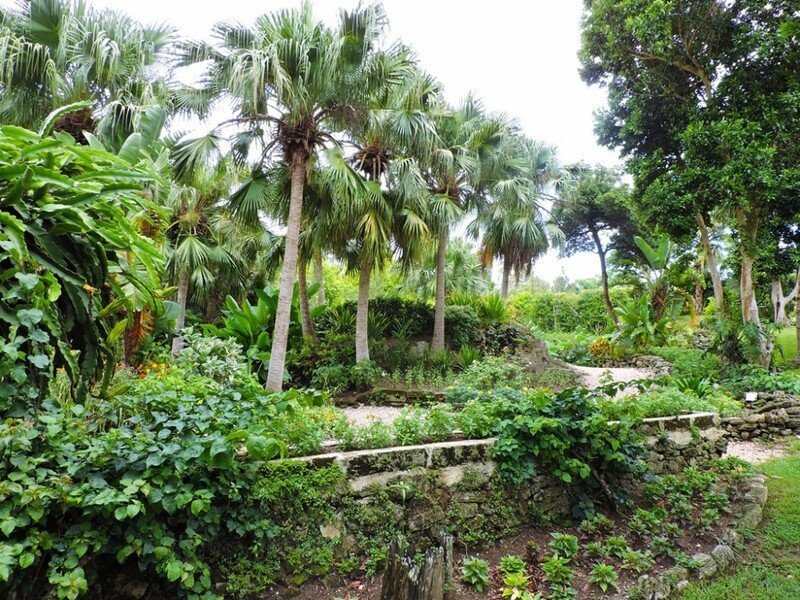 For a display of the varied landscapes available on the island, visit Tom Moore's Jungle (also known as Walsingham Nature Reserve) in Hamilton Parish, where you can explore and swim in the various caves and grottos (including the Crystal Caves, below), as well as walk around the mangroves, plantations and pond. This 22-acre large park is the perfect spot for those who wish to combine nature and exercise. A stunning variety of fauna and flora, set in beautiful forests and meadows featuring walking trails along which you will find a total of 20 fitness stations. Whilst in Bermuda, make sure to not miss the incredible Crystal and Fantasy caves. Located near the Blue Hole Park, in the Hamilton Parish, the caves surrounds visitors with a truly stunning display of limestone formations. Walk the wooden bridge that takes you through the caves and admire this unique exhibition of natural beauty, enhanced by the lake itself and by some clever lighting, making the place even more magical. If you're planning on visiting Bermuda during March or April, make sure to witness the whales' annual migration parade on their way to their northern feeding grounds. Although you may spot several species of whales, the Humpback whale is the one you're most likely to see, due to their playful and friendly nature. For a history-orientated exploration, back to where Bermuda became, head to St George's Island, where the island's first settlement was built in the early 1600s, by the shipwrecked survivors of the Sea Venture on its way to Jamestown. 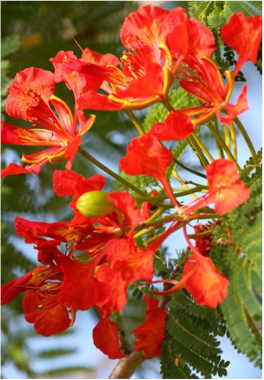 With such abundant flora to be found all over the island, it is only logical for Bermuda to has its own perfumery. 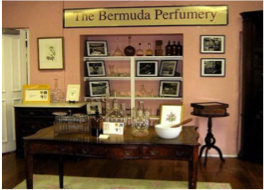 Take a tour to discover the island's perfume making process and natural scents. This museum offers visitors a deeper look into the life of the island's first settlers on St David's island and the New World in the 17th century. 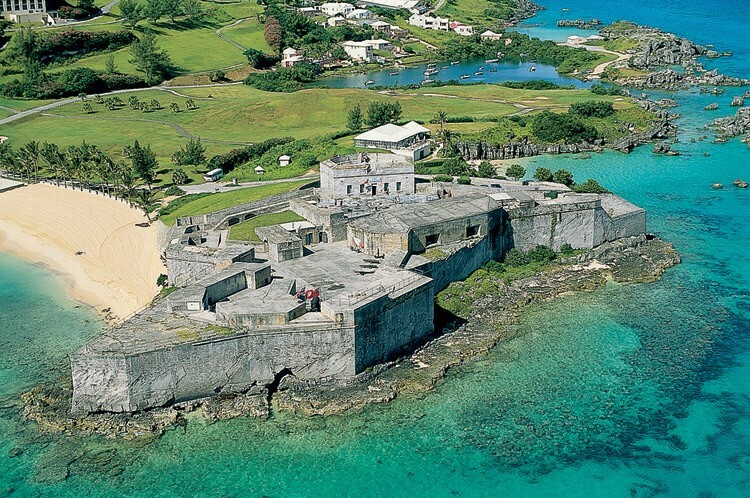 At the northern tip of St George's Island and magnificently overlooking the ocean is Bermuda's largest fortification edifice. Set in beautiful surroundings, the fort now houses a museum that informs visitors of the military history of the island and is handily located an easy stroll away from Tobacco Bay Beach. 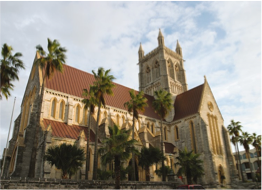 Built in Bermuda stone and lit for the first time in 1879, this 22 metres tall landmark is still operating to this day. Climb up for beautiful views of the island. Based on Bermuda's history, this entertaining re-enactment shares the island's past traditions of public punishment in the 17th and 18th century. A trip to the northern side of the island would not be complete without a visit to Bermuda's famous Crystal Caves, a stunning and impressive display of underground stalactite, soda straws, chandelier clusters and limestone formations set over a subterranean lake of crystal clear water. For an insight into the island's past, head to this charming example of colonial life on Bermuda, a beautiful piece of architecture with links to Colonial Williamsburg. 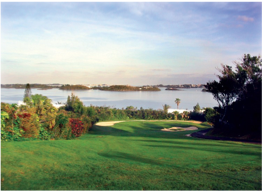 Bermuda is also known for it's incredible golf course set in beautiful scenery around the island, be sure to play a few rounds. The Golf Academy features a 300-yard driving range, an 18-hole practice chipping and putting green with night lighting until 10pm, 35 practice bays (including 25 covered), and a clubs and balls rental service. Furthermore, the 18-hole mini golf course makes it a fun destination for players of all ages and all levels. Located on Industrial Park Road, Southampton. Regarded as one of the world's best links, this private club boasts a championship 18-hole course as well as great facilities, including guest rooms, tennis courts, beaches, and a full-service clubhouse. Located on Mid Ocean Drive, Hamilton Parish. Excellent ocean views for this recently renovated and more challenging par 70, with TifEagle greens and man-made lakes, as well as a facilities such as a pro shop, restaurant, and practice area. Located on Belmont Hills Drive, Warwick. Formerly known as the Fairmont Southampton Golf Club, this challenging 18-hole, par 3 executive course focuses more on precision than power, with its water hazards and bunkered greens. On-site pro-shop and restaurant available. Located on South Road, Southampton. Featuring TifEagle greens and re-contoured fairways surrounded by majestic views of the island, this course now includes a driving range, practice putting green and short game area. Located on Tucker's Point Drive, Hamilton Parish. An unforgettable golf experience for this newly renovated island's favourite set in a dramatic cliff-side landscape. Featuring a pro shop, restaurant and driving range. Located on Middle Road, Southampton. 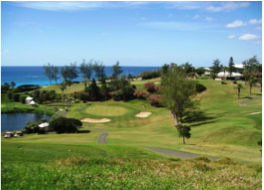 Overlooking the ocean and featuring a public 9-hole course as well as a driving range. Perfect for a quick practice or game. Located on Barkers Hill, Devonshire.